Home > Products > Immersion Heaters type J.I.S. Brochure Immersion Heaters type I.S. + J.I.S. 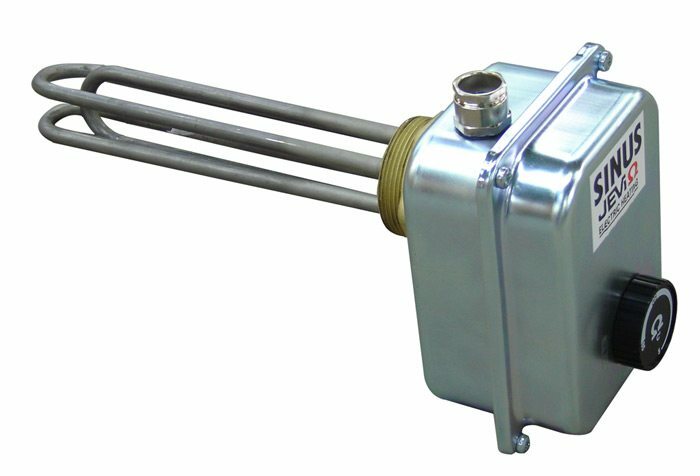 Screw type elements are assembled from 3 main components: The heating element (tubular element), the screw connection and the connection box (optional). The tubular elements are by means of TIG welding or soldering mounted in the screw coupling. By this method a compact heating element is created with an optimum heat transfer to the medium. Screw type elements are used for the heating of water, oil and an array of other fluid or gaseous media. The elements can be delivered wit- or without temperature control and/or safety in the connection box. 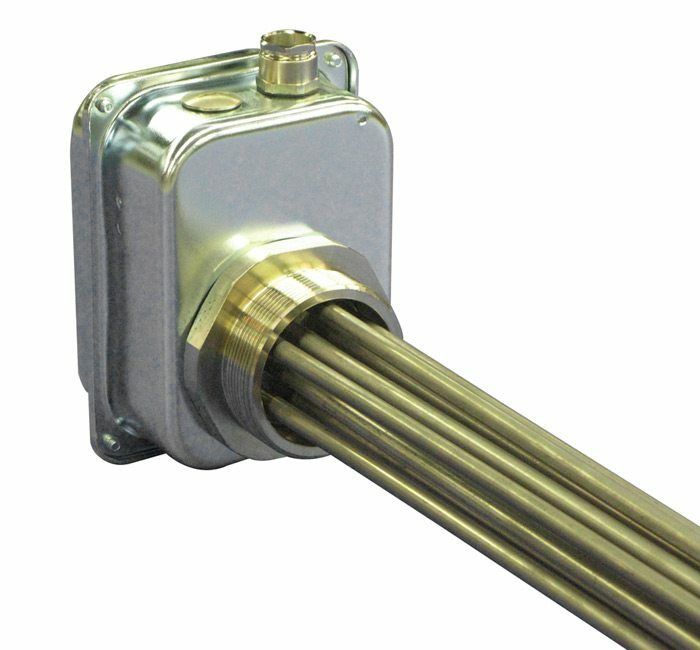 For the most common applications we run a line of standardised screw type heating elements. A line of Explosion proof elements is available also. Screw-in elements of nickel plated copper are designed to heat up water in hot water tanks or open reservoirs. 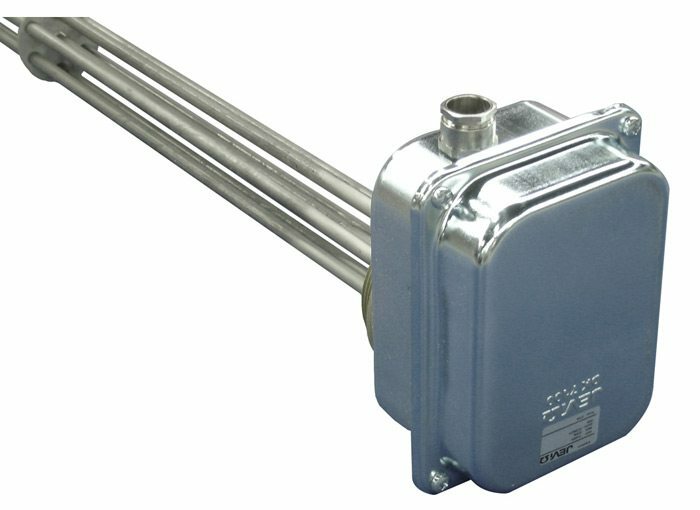 Immersion heaters of Incoloy 825 for heating aggressive liquids, chemicals and water. 3 x 400, cold zone is 55 mm. 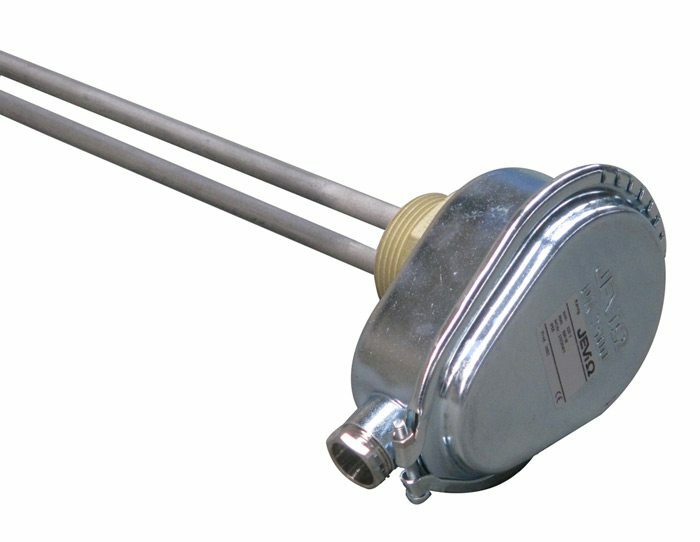 Immersion heating elements, stainless steel (AISI 304) for heating of oil in e.g. oil pre-heaters and frost protection of oil containers. 3 x 400 Volt.